We use the NSW Board of Studies Mathematics K-6 Syllabus. Working mathematically is embedded in all strands of the mathematical syllabus. 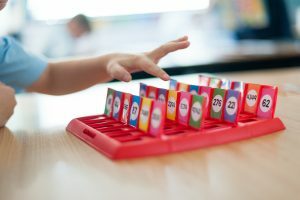 Skills in Number Facts, Computation, Problem Solving and Reasoning are developed in individual and group situations using a variety of materials, including concrete materials, calculators and computers where appropriate. Consequently, you will see the children on the floor or at their desks sorting, counting, patterning, trading, recording, measuring and investigating using and applying a wide range of mathematical concepts.